Join us this week on a special day and time on Veterans Day as we welcome multi-platinum selling Rock/Classic Rock music artist, Eddie Money, whose hit songs include “Take Me Home Tonight,” “Two Tickets To Paradise,” and “Baby Hold On,”. Eddie has recently teamed up with the Intrepid Fallen Heroes Fund which supports the men and women of the United States Armed Forces and their families including the treatment of Post Traumatic Stress Disorder (PTSD) and Traumatic Brain Injury (TBI). Eddie Money’s new single, “One More Soldier Coming Home” is a tribute to our men and women in uniform who have lost their lives while serving the United States. 100% of the proceeds it generates goes directly to the Intrepid Fallen Heroes Fund. We will talk to Eddie his work with Intrepid, his upcoming schedule and projects, get a behind the scenes look at his music, feature some of his new and classic songs, and ask him to share his efforts to support the troops. 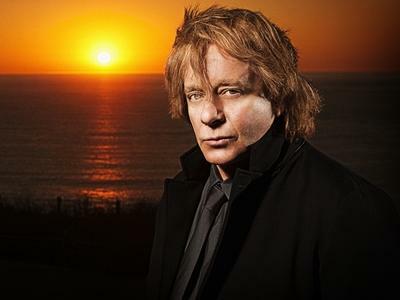 Please be sure to visit Eddie Money at http://www.eddiemoney.com/ and spread the word. If you would like to participate in the live chat during the show, you must sign up on the show site first and then log in during the show. More great music for a really great cause! And as always we will give shout outs to our deployed military listeners. This is sure to be a terrific show so be sure to join us, Friday November 11th 2011 at 8:00 PM EST! Our message to the troops....WE do what we do, because YOU do what you do.